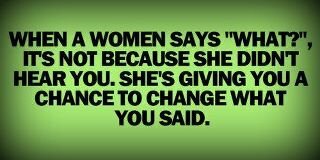 When a woman says "What? ", it's not because she didn't hear you. She's giving you a chance to change what you said.